Hay'at Tahrir al-Sham, a new coalition of militant salafi-jihadist forces in Syria, appears determined to challenge more moderate rebel factions aligned with the U.S. and Turkey. Late January 2017 saw a significant realignment of rebel and jihadi factions in Syria. Following aggressive moves by al-Qa'ida-aligned Jabhat Fateh al-Sham, a number of rebel groups sought protection under Ahrar al-Sham. In response, Jabhat Fateh al-Sham and its main allies announced the formation of a new umbrella group, Hay'at Tahrir al-Sham, headed by the leader of a hardline former faction of Ahrar al-Sham. If the lines between the two blocs harden, a confrontation between them could further weaken the rebel position in Syria. The rapid recapture of east Aleppo by the Assad regime and its allies in the first half of December 2016 constituted a major blow for the Syrian insurgency. In effect, the regime now has firm control over the two largest conurbations in the country (namely, Damascus and Aleppo). While areas of insurgent activity remain in some suburbs to the east and south of Damascus, these pockets do not pose a real threat to the regime and could well be removed over the course of this year. While the regime now stands on much firmer ground politically, it still makes very clear its intentions to reconquer the entirety of Syria, and there is little doubt that it will continue to pursue this goal, whatever notions of a political settlement are discussed at foreign venues. The fall of Aleppo and threat of further regime advances have given new impetus for rebel factions to merge. For any merger scheme to become dominant in the north of Syria, one cannot ignore the incorporation of the large faction Ahrar al-Sham, which has straddled a nebulous line between a more mainstream nationalist vision of Syria's future and the salafi-jihadi component of the insurgency. Enjoying strong backing from Turkey and Qatar, the movement also has elements that have sought to push the group closer to the salafi-jihadi factions. Hardline factions of Ahrar al-Sham led by Hashim al-Sheikh (Abu Jaber) united under the name Jaysh al-Ahrar in December. A variety of rationales can be suggested for the formation of Jaysh al-Ahrar,[d] but the foremost reason for its emergence was to pressure Ahrar al-Sham to merge with Jabhat Fateh al-Sham in some way. Conversely, other elements of Ahrar al-Sham were pushing back against the merger, knowing that formally uniting with Jabhat Fateh al-Sham would lead to isolation from the group's foreign backers,[e] especially Turkey. Since launching operations in north Aleppo countryside under the 'Euphrates Shield' moniker in late August 2016 (countering both the Islamic State and the Kurdish-led Syrian Democratic Forces) and since the retaking of Aleppo city by the regime, Turkey's insistence on Assad's departure has become less and less vocal. Turkey has also been working with Russia to secure its interests in northern Syria, with the latter even providing some air support for Euphrates Shield. Ahrar al-Sham has been participating in Euphrates Shield as well,[f] clearly to the chagrin of those who came under Jaysh al-Ahrar and wanted closer relations with Jabhat Fateh al-Sham. These contrary impulses within Ahrar al-Sham could perhaps be seen as the main reason why a merger involving Jabhat Fateh al-Sham and Ahrar al-Sham did not materialize, even as the more 'revolutionary/nationally' oriented merger initiative also failed to show anything impressive. [g] Yet the exact process by which the merger talks involving Jabhat Fateh al-Sham and Ahrar al-Sham failed is a matter of dispute, and with a lack of truly independent observers at those talks, determining the truth of what happened will likely remain a murky issue. 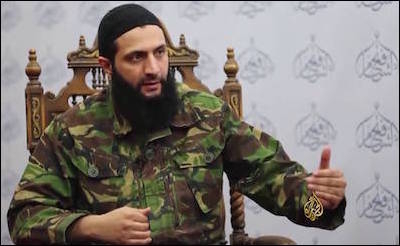 What is clear, however, is that there was a proposal for Jabhat Fateh al-Sham's leader, Abu Muhammad al-Julani, to adopt a military leadership role as part of this merger. U.S. airstrikes pummeled Jabhat Fateh al-Sham on January 19, reportedly killing 40 fighters. Alongside the failure of these merger talks, two other key developments contributed to a rise in intra-rebel tensions in early 2017. Firstly, U.S. airstrikes continued targeting Jabhat Fateh al-Sham and were clearly escalating in intensity in the final days of the Obama administration. The likely intent behind these strikes, identified astutely by the likes of former Ahrar al-Sham emir Hashim al-Sheikh, was to isolate Jabhat Fateh al-Sham and try to signal to other factions that a merger with the group would entail the same deadly consequences. This approach was foremost represented in a strike that targeted a training camp being used by both Jabhat Fateh al-Sham and the Islamist group Harakat Nour al-Din al-Zinki. The relative lack of condolences issued by other factions for the large-scale losses suffered aroused suspicion and outrage. For example, Sheikh Abdullah al-Muheisseni, a Saudi jihadi cleric who has since joined Hay'at Tahrir al-Sham, complained on his Telegram channel: "Has factionalism really afflicted us to the point that 100 martyrs should be martyred at the hands of the coalition, then we do not hear a statement of condolences?! God is our reliance and He is the best trustee. Then they say: Oh mashaykh, intervene to reduce the congestion in the field!" The second key development was the attempt by Russia and Turkey to integrate insurgent factions into the talks held in Astana, Kazakhstan, from late January with a view to enforcing a ceasefire agreement the two countries had worked out. The Astana talks had been preceded by low-profile discussions sponsored by Turkey that aimed to set up a third-way alternative to the two merger initiatives, resulting in a tentative agreement to set up a body called the Syria Liberation Command Council. This council would not constitute a merger but rather set up joint military and political committees. This agreement, which was leaked to the media, featured signatories from major insurgent factions, including Ahrar al-Sham, and gave rise to accusations of a deliberate plan to undermine merger initiatives. The Russian-backed Astana talks were perceived as an effort to isolate Jabhat Fateh al-Sham and its allies. In a statement released on January 24, Jabhat Fateh al-Sham characterized its attacks as preemptive, citing the airstrikes and Astana talks as measures designed to isolate and attack the group. Jabhat Fateh al-Sham therefore argued "it was necessary for us to foil the conspiracies and push them back before they should come about." At the same time, the group was careful to push back against being equated with the Islamic State, emphasizing that it was not declaring takfir on the other factions (i.e. it was not pronouncing them to be apostates from Islam, something for which the Islamic State is notorious). However, the attack on Jaysh al-Mujahideen precipitated wider infighting between Jabhat Fateh al-Sham and other insurgent factions, which took differing approaches on how to deal with the Jabhat Fateh al-Sham aggression. In Latakia province, for example, where insurgent strongholds are confined to the northeast corner, Jaysh al-Mujahideen quickly gave up its bases, and no reports emerged of wider infighting. In Idlib province, multiple factions became embroiled in clashes with Jabhat Fateh al-Sham. Contrasting approaches in Idlib province are illustrated in the cases of Suqur al-Sham on the one hand and Ahrar al-Sham and Faylaq al-Sham on the other. The leader of Suqur al-Sham, which had merged with Ahrar al-Sham at one point but then broke off in 2016, called for a general mobilization against Jabhat Fateh al-Sham with a view to wiping out the group. 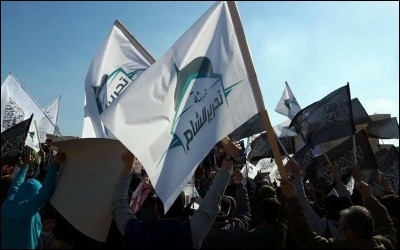 Faylaq al-Sham and Ahrar al-Sham, however, issued statements in which they emphasized their rejection of targeting and isolating Jabhat Fateh al-Sham, while also making clear that they would mobilize to deter any aggressive action by one faction against another—a warning to Jabhat Fateh al-Sham to cease its attacks. A group of Islamic scholars, including Osama al-Rifa'i (above), issued a call on multiple factions to join Ahrar al-Sham in late January. More crucially, the attacks provided an impetus for plausible mergers to be accomplished. From the perspective of factions feeling threatened by Jabhat Fateh al-Sham, a logical means of protection would be to join Ahrar al-Sham. Despite acting as the key enabler of Jabhat Fateh al-Sham and its predecessor in Idlib province (through the Jaysh al-Fateh military alliance established in 2015 that scored key territorial gains against the regime), Ahrar al-Sham had nonetheless come to be seen in the province as the main group that could act as a local counterbalance to Jabhat Fateh al-Sham and provide protection for smaller, more 'moderate' groups. 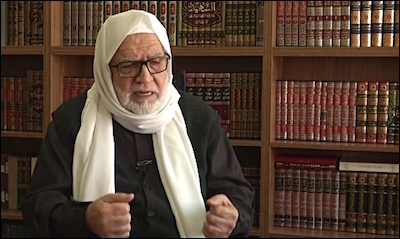 Sensing this dynamic, in late January 2017, a number of Islamic scholars—the most notable of them Sheikh Osama al-Rifa'i of the Syrian Islamic Council who had previously issued a statement against Jabhat Fateh al-Sham—issued a call to the multiple factions clashing with Jabhat Fateh al-Sham to join Ahrar al-Sham. They also urged Ahrar al-Sham to "protect the precepts and principles of the Syrian revolution" and to broaden its Shura Council to accommodate the factions it called on to join its group. These scholars entitled their initiative "Saving the north of Syria." Of the factions addressed in the call, five out of six heeded at least in part the call to merge with Ahrar al-Sham, issuing a joint statement on January 26 that they would join the group. [j] The clarification 'in part' is used here because for two of the factions that heeded the call—the Shami Front and Jaysh al-Islam—fighters in only specific geographical sectors declared a merger with Ahrar al-Sham. The distinction appears to have been based out of necessity. In the case of the Shami Front, this entailed its more vulnerable west Aleppo countryside-based contingents, while for Jaysh al-Islam the merger only applied to its more vulnerable northern affiliates. The main contingents of both groups are based in north Aleppo countryside[k] and East Ghouta, respectively, where Jabhat Fateh al-Sham has no significant presence that could pose a threat and where these groups are larger than Ahrar al-Sham. The one faction that did not heed the call to merge, Faylaq al-Sham, likely refrained because it has stronger, more substantial assets than Ahrar al-Sham in the north Aleppo countryside[l] and is more powerful in northwest Syria than the Shami Front's west Aleppo contingent and Jaysh al-Islam's northern affiliates. Therefore, it would have no need to seek protection in Ahrar al-Sham. Hashim al-Sheikh (Abu Jaber) makes his first appearance as general commander of Hay'at Tahrir al-Sham in a video released on February 9, 2017. Conversely, on January 28—two days after the Ahrar al Sham expansion announcement—Jabhat Fateh al-Sham and groups closely aligned with it came together and declared their own merger under the name of Hay'at Tahrir al-Sham ("Liberation of al-Sham Commission"). [m] It is hard not to see this merger initiative as a response to Ahrar al-Sham's expansion announcement, seeking to prevent what it feared might become a mass rallying behind Ahrar al-Sham amid the infighting, which would risk isolating Jabhat Fateh al-Sham further and perhaps culminate in a much stronger campaign to eliminate the group. The initial constituent groups behind this merger alongside Jabhat Fateh al-Sham are either of similar ideological orientation to Jabhat Fateh al-Sham (i.e. al-Qa'ida-aligned jihadis)—most notably Jabhat Ansar al-Din[n]—or groups that have established or long had particularly close working relationships with Jabhat Fateh al-Sham and its predecessors, an analysis that applies to Harakat Nour al-Din al-Zinki, Jaysh al-Sunna,[o] and Liwa al-Haqq. 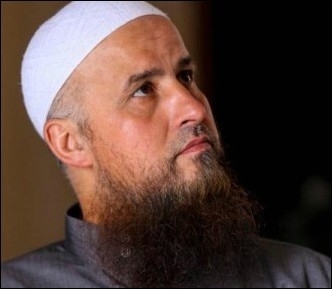 Clearly acting as a counterpart to the Islamic scholars that declared the "Saving the north of Syria" initiative, a number of clerics, including Sheikh Abdullah al-Muheisseni, declared that they would join Hay'at Tahrir al-Sham. Besides these foundational constituent groups and clerics, Hay'at Tahrir al-Sham also includes elements of Ahrar al-Sham that had been pushing for a merger with Jabhat Fateh al-Sham in the first place, including Hashim al-Sheikh, who has been designated the overall leader of the new group. Since the declaration of the mergers under Ahrar al-Sham as per the 'Saving the north of Syria' initiative and the formation of Hay'at Tahrir al-Sham, both sides have been competing with each other to win over smaller insurgent groups. For Hay'at Tahrir al-Sham, securing the defection of more and more Ahrar al-Sham affiliates is of vital importance. Ahrar al-Sham has sought to counter this problem by drawing attention on social media to local affiliates' declarations of their continued allegiance to the overall leader of Ahrar al-Sham, Abu Ammar. At the same time, both sides have issued standard rhetorical calls to broader unity. The present circumstances are a crucial inflection point for the wider Syrian insurgency, especially in the north of the country. The situation is not exactly analogous with that of the Islamic State and its relationship with the wider insurgency in that there is no state of total war where battlelines have been clearly drawn with thousands of casualties. Were such a state of events to arise between Hay'at Tahrir al-Sham and Ahrar al-Sham in particular, it would likely spell the end of the insurgency in Idlib province, as the regime could exploit the opportunity to secure major advances. The balance of forces at the present time can be seen as an impetus to avoid all-out internecine war on account of some kind of mutually assured self-destruction. It should also be remembered that at the more local levels, familial ties between members of different factions can also act as a mechanism of control in cases of infighting. All-out war between Hay'at Tahrir al-Sham and Ahrar al-Sham is unlikely. These developments do not rule out completely the possibility of a wider clash occurring again. Possible triggers might include disputes over resources and border controls as well as tensions caused by a continuation of Ahrar al-Sham's long-standing function as a local restraint on more hardline actions by the likes of Jabhat Fateh al-Sham. Essentially, the choice for the wider Syrian insurgency at this stage is to work more closely with Jabhat Fateh al-Sham by joining the new Hay'at Tahrir al-Sham (or at least following its lead in strategic moves) or to work more closely with Turkey, which can mean joining Ahrar al-Sham, though it is by no means the sole option in this regard. [r] Neither of these options can realize the original goal of the insurgency to overthrow the regime. Indeed, though Hay'at Tahrir al-Sham clearly espouses that goal and rejects notions of ceasefires, the best it can hope to achieve in the foreseeable future is limited gains of rural ground against the regime. At this point, the forces backing the regime are too strong for the insurgency to be able to take over any major Syrian cities, in part or in whole. Working more closely with Turkey will also not lead to major territorial gains for the insurgency, in light of Turkey's wider policy shifts and rapprochement with Russia in particular. However, there is the possibility Turkey will act as a guarantor to preserve the remaining territory of the insurgency in the north in the medium to long term. It may even be the case that Turkey could eventually intervene on the ground in Idlib province, somewhat similar to its intervention as part of Euphrates Shield, but aimed at limiting Hay'at Tahrir al-Sham's influence in the northern border areas. Jabhat Fateh al-Sham leader Abu Muhammad al-Julani is rumored to be the overall military commander of Hay'at Tahrir al-Sham. Despite some arguments offered by Hay'at Tahrir al-Sham supporters denouncing analysts who would see the new group as essentially al-Qa'ida, there appears to be little distinction in reality. Jabhat Fateh al-Sham likely constitutes the largest single component of Hay'at Tahrir al-Sham, with al-Julani rumored to be the military commander of the new entity. Regardless of whether some elements of what was Jabhat al-Nusra/Jabhat Fateh al-Sham have rejected joining the new entity (e.g. the Jordanian Sami al-Oreidi) for whatever reasons, Hay'at Tahrir al-Sham fits in with the al-Qa'ida vision of integrating more deeply into the wider Syrian insurgency to establish a broader popular front and pushing for the end goal of an Islamic emirate or government project as a stepping stone to reviving the caliphate. Incidentally, it may be the case that this dynamic of continuing to seek popular support prevents a Hay'at Tahrir al-Sham campaign to bring down Ahrar al-Sham, thus reinforcing a strategic stalemate between Hay'at Tahrir al-Sham and the wider insurgency. 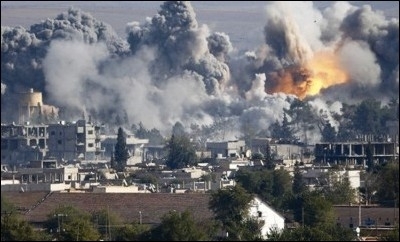 At this stage, few if any good options remain for the Syrian insurgency. But throwing in one's lot with Hay'at Tahrir al-Sham essentially amounts to a final death blow to any viable trends in the insurgency espousing a more 'moderate' vision. The airstrikes will continue, and merging with Hay'at Tahrir al-Sham will simply make such groups that do merge additional targets for those strikes, besides resulting in isolation from whatever wider international backing remains for the Syrian insurgency. In such a scenario, Hay'at Tahrir al-Sham would be dragging down the wider insurgency into oblivion alongside it. Survival, not fantastical notions of victory over the regime, seems to be the name of the game now and for the foreseeable future. [a] A copy of the original statement, dated December 28, 2016, can be found at https://justpaste.it/fsastatement28dec2016. The signatories in full were Jaysh al-Islam's northern affiliates, Jabhat Ahl al-Sham, Liwa Shuhada' al-Islam from Darayya, Liwa al-Furqan I Idlib, Suqur al-Sham, the Shami Front, al-Fawj al-Awal, Faylaq al-Sham, Farqat al-Safwa, and Ahrar al-Sharqiya. [b] A biography of Hashim al-Sheikh titled "Sheikh Hashim" was posted by Al Jazeera on September 10, 2014. According to this account, he was born in Maskanah in the east Aleppo countryside in 1968 and fought in Iraq against U.S.-led coalition forces following the 2003 invasion. He was then arrested in 2005, eventually ending up in the notorious Saydnaya prison, but was released in 2011 as part of an amnesty that saw many Islamist and jihadi prisoners released. He formed a local battalion in Maskanah that joined Ahrar al-Sham in 2013. 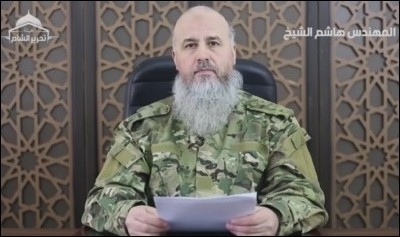 Following a mysterious bomb attack in September 2014 that wiped out many of Ahrar al-Sham's first generation of leaders (including the overall leader Hassan Aboud), he was appointed leader of Ahrar al-Sham before being replaced in September 2015 by Abu Yahya al-Hamawi (real name: Muhannad al-Masri), who was in turn replaced in November 2016 by his deputy Abu Ammar (real name: Ali al-Omar), who remains overall leader of Ahrar al-Sham to this day. [c] A copy of the original statement, dated December 10, 2016, can be found at https://justpaste.it/jayshahraroriginalstatement. The signatories in full were Liwa al-Tamkeen, Liwa Omar al-Farouq, Liwa Ahrar al-Jabal al-Wustani, Liwa Ajnad al-Shari'a, Liwa Ansar al-Sahel, Liwa Ansar Homs, Katibat Abu Talha al-Ansari, the Kurdish Wing, Katibat Hamza bin Abd al-Muttalib, Katibat Qawafil al-Shuhada', Katibat Ahrar Harim, Katibat Sheikh al-Islam, Katibat al-Tawaqim, Liwa al-Madfa'ia wa al-Sawarikh, Liwa al-Madfa'ia al-Radif, and Liwa al-Mudar'at. [d] For example, @shamilthreer, previously @shamel1020—an account operated by someone claiming to be an ex-Ahrar al-Sham fighter who has now joined Hay'at Tahrir al-Sham—tied the formation of Jaysh al-Ahrar to problems surrounding alleged diversion of heavy weaponry to the north Aleppo countryside front, preventing an effective effort to break the siege of east Aleppo again. Though this version of events is disputed, it is notable that some artillery and missile units were signatories to the initial formation of Jaysh al-Ahrar, and at least four battalions from the Artillery and Missiles Brigade of Ahrar al-Sham have joined Hay'at Tahrir al-Sham so far as per a statement issued by Hay'at Tahrir al-Sham on February 1, 2017 (https://justpaste.it/ahraralshamdefection1feb2017), so there could at least have been a perception of unnecessary diversion of weaponry. In any case, there is no doubt about the general disapproval of the 'Euphrates Shield' operation among the elements of Ahrar al-Sham that pushed for a merger with Jabhat Fateh al-Sham. The coordination between Turkey and Russia has inflamed that fault-line. For more, see Aymenn Jawad al-Tamimi, "Syrian Rebel Mergers: A Harakat Nour al-Din al-Zinki Perspective," January 7, 2017. [g]The precise, detailed reasons for the failure of merger talks involving Ahrar al-Sham and Jabhat Fateh al-Sham are a matter of dispute. Going into the debate in-depth is beyond the purview of this article. 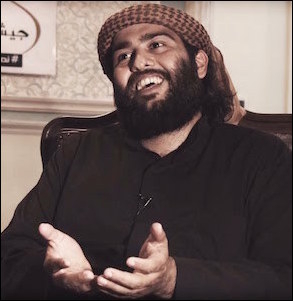 The director of Harakat Nour al-Din al-Zinki's media office (now part of Hay'at Tahrir al-Sham) referred this author to the lengthy testimony conveyed in tweets of Sheikh Hussam al-Atrash of the group (who is also part of Hay'at Tahrir al-Sham now) about various merger projects. This testimony can be viewed at https://justpaste.it/135v1. [h]MOM is military operations center in Ankara created by Turkey known by its Turkish initials. Its purpose is to coordinate rebel activities in Syria, and the CIA is reportedly a participant in the operations room. Erika Solomon, "The rise and fall of a US-backed rebel commander in Syria," Financial Times, February 9, 2017. [i] Though Jund al-Aqsa has publicly proclaimed its alignment with al-Qa'ida leader Ayman al-Zawahiri, it has also featured Islamic State sympathizers in its ranks. On account of this problem and its hardline approach to dealing with other factions and civil society, the group has frequently been accused of being an Islamic State cell. In October 2016, the group ostensibly dissolved itself and joined Jabhat Fateh al-Sham amid clashes with Ahrar al-Sham, which renewed in January 2017. This led to a clarification statement from Jabhat Fateh al-Sham, disavowing Jund al-Aqsa and stating that there was never a collective allegiance pledge to Jabhat Fateh al-Sham. For the statement and translation, see Aymenn Jawad al-Tamimi, "Jabhat Fateh al-Sham removes Jund al-Aqsa from its ranks," Jihad Intel, January 23, 2017. Since being disavowed by Jabhat Fateh al-Sham, the group has fragmented with a pro-Islamic State splinter by the name of Liwa al-Aqsa. [j] The signatories are Jaysh al-Islam in the north, Tajammu Fa Istaqim Kama Umirta, the Shami Front in west Aleppo, Jaysh al-Mujahideen, and Suqur al-Sham. "Joint statement from the biggest revolutionary factions in the north," January 26, 2017, https://justpaste.it/5factionsjoinahrar. [m] As of February 15, 2017, a number of additional groups beyond the five initial signatories have joined Hay'at Tahrir al-Sham. The most important of these in propaganda value for Hay'at Tahrir al-Sham are Mujahidu Ashida (an Ahrar al-Sham splinter whose leader was the final overall commander of rebel-held east Aleppo) and local groups that declared defections from Ahrar al-Sham, such as Qawafil al-Shuhada' of Khan Sheikhoun in southern Idlib province, Suqur al-Izz of Ma'ar Shurin (also southern Idlib province) and Saryat al-Aqsa of Aleppo province. At least one addition to Hay'at Tahrir al-Sham constitutes a well-known long-standing group from the Syrian civil war: the Latakia-based Kata'ib Ansar al-Sham, which declared that it had joined Jaysh al-Islam in December 2016 and had long been involved in coalitions alongside Ahrar al-Sham—namely, the Syrian Islamic Front and then the Islamic Front. Other defections constitute splinters from the groups that have recently joined Ahrar al-Sham, such as Katibat Ahrar al-Janub (operating in south Aleppo countryside) and Katibat al-Nasir li-Din Allah, both from the Shami Front. Finally, some defections involve seemingly independent groups that were otherwise unknown in the public realm until now, such as the Katibat Taliban in the north Idlib town of Sarmada. Author research. [o] Jaysh al-Sunna was one of the components of the original Jaysh al-Fateh alliance. The group's origins trace back to the Homs area, and its fighters initially received some training from an FSA faction called the 10thBrigade in Latakia, which, according to Latakia-based pro-rebel activist Muhammad Fayzo (conversation with the author, February 12, 2017), is now very small in number. The 10th Brigade today appears to have a close relationship with Faylaq al-Sham. [q] While following the declarations of allegiances on social media and defections from Ahrar al-Sham so far can give an impression of a major split in Ahrar al-Sham, the movement itself has sought to counter that notion. Besides advertising renewed pledges of allegiance and statements from smaller groups that they are joining Ahrar al-Sham, an infographic was widely circulated on February 15, 2017, putting the total number of Ahrar al-Sham defections to Hay'at Tahrir al-Sham at 955, with the majority of those defections in Idlib. On this reading therefore only a minority of the group has joined Hay'at Tahrir al-Sham. In a recent interview, Ahrar al-Sham Faruq Abu Bakr denied that the defections had had a significant impact on the movement. See "Ahrar al-Sham: Between Defections and Mergers," al-Qabas, February 15, 2017. [r] For Ahrar al-Sham in particular, the defection of hardliners to Hay'at Tahrir al-Sham reduces internal pressure on the group over the controversy of participation in the Euphrates Shield operation, allowing closer ties with Turkey to continue. Thus, while it may not be appropriate to speak of a move towards 'moderation' (undoubtedly, the group still wants a Sunni Islamist-led order in Syria that is very problematic), the choice of maintaining ties with Turkey and regional backers over throwing in one's lot with Jabhat Fateh al-Sham and its allies is apparent. See Aymenn al-Tamimi, "Al Qa'ida Uncoupling: Jabhat al-Nusra's Rebranding as Jabhat Fateh al-Sham," CTC Sentinel 9:8 (2016). "Operation Euphrates Shield: Progress and scope," Al Jazeera International, February 3, 2017. "Merger efforts for the military factions in Syria: the whole story," El-Dorar, December 23, 2016. "Source in Fateh al-Sham to 'Qasioun': 80 killed in coalition raids on al-Fawj 111 west Aleppo," Qasioun, January 20, 2017. Al-Tamimi, "Syrian Rebel Mergers: A Harakat Nour al-Din al-Zinki Perspective." "Jabhat Fateh al-Sham statement about the recent events," Jabhat Fateh al-Sham, January 24, 2017, https://justpaste.it/jfs24jan2017. "Leader of Suqur al-Sham calls for mobilization against Fateh al-Sham," Enab Baladi, January 24, 2017. "Statement on Jabhat al-Nusra (Fateh al-Sham)," Syrian Islamic Council, January 24, 2017, http://sy-sic.com/?p=3948. "Call to the factions of the north to join the Ahrar al-Sham movement within the 'Saving the north of Syria' initiative," Qasioun, January 26, 2017. Aymenn Jawad al-Tamimi, "Hay'at Tahrir al-Sham: Initial Statements and Translations," Jihad Intel, January 28, 2017. Aymenn Jawad al-Tamimi, "Hay'at Tahrir al-Sham: Initial Statements and Translations." "The first speech by the engineer Hashim al-Sheikh: the general leader of Hay'at Tahrir al-Sham," Hay'at Tahrir al-Sham, February 9, 2017. Video statement by Ahrar al-Sham leader Abu Ammar, Ahrar al-Sham, January 29, 2017. 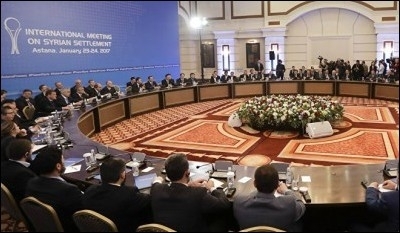 Noah Bonsey, "What's at Stake in the Syrian Peace Talks in Astana?" International Crisis Group, January 24, 2017. See, for example, the argument put forward by Abu Sumayya al-Khalidi, a Hay'at Tahrir al-Sham supporter, on his Telegram channel on January 29, 2017, https://justpaste.it/abusumayyakhalidi29jan2017. "Al-Maqdisi affirms defection of two prominent leaders from 'Fateh al-Sham' and that they have not joined Hay'at Tahrir al-Sham," El-Dorar, February 8, 2017.